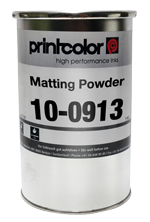 Printcolor 10-0913 powder is a matting agent for pad print inks. Printcolor 10-0913 powder can be added to Series 700 pad printing inks to produce a matte finish on the printed ink layer. Addbetween 3% and 10% by weight of 10-0913 powder to the ink to achieve a medium to high level matte finish. Refer to the Technical Information and 10-0913 MSDS documents for more details. 10-0913 matte powder is a great option for consumer products like cosmetics. A matte black print on a high gloss back compact looks a million bucks! In our experience 10-0913 works well in all Printcolor solvent inks and hasn’t any noticeable effect on printing characteristics or pot life. Well let me tell you my take on it, and decide for yourself if I am telling the truth! We talk to a lot of printers about the getting right ink for their screen printing projects. And with good reason… The ink you use makes a world of difference to your work. Get the right ink and you can produce more, with greater consistency and quality, in less time, and for less money. Are you working too hard? Change your ink… and change your business! Clearly, with so much at stake, you want to choose wisely and the first thing you should know is that ink brands ARE different. We often talk to people who are doing a tremendous amount of unnecessary and time-consuming work, not realising that their ink was often the source of their problems. They just thought that some jobs could be… well… difficult. Once we matched their project, or production-line, with the right ink for the job, efficiency (and profits!) went up immediately. And stress levels fell. Leading Swiss ink manufacturer Printcolor, has developed a wide range of high performance UV and solvent screen printing inks formulated to run well on the press, be easy to use, ecologically friendly, and versatile in high demand production environments. If you want to REALLY know about ink, you need to talk to someone who has used it on a daily basis. Here at Colour Components, the information we are sharing with you comes from years of hands-on experience running a successful trade printing business – one of Australia’s most awarded, with industry craftsmanship awards at both state and national levels. In doing so we have tried a lot of different inks, from many manufacturers, in all kinds of applications. So you could say that when it comes to ink, we have ‘been around the block’. Our own experiences (together with feedback from our customers) has led us to sell only one brand: Printcolor High Performance Inks, which are made in Switzerland. As well as our own practical knowledge, as exclusive agent we have the expertise of Printcolor’s many technicians and chemists on call — so you can count on us to be here for you with the right advice and answers to any questions you may have. If you’ve been screen printing for a while, you may already suspect that using cheap ink can actually costs you more. The time you lose struggling with colour accuracy, or messing around with different additives to keep the ink running ‘just right’, all eat away at your profit. And over time, it hurts. 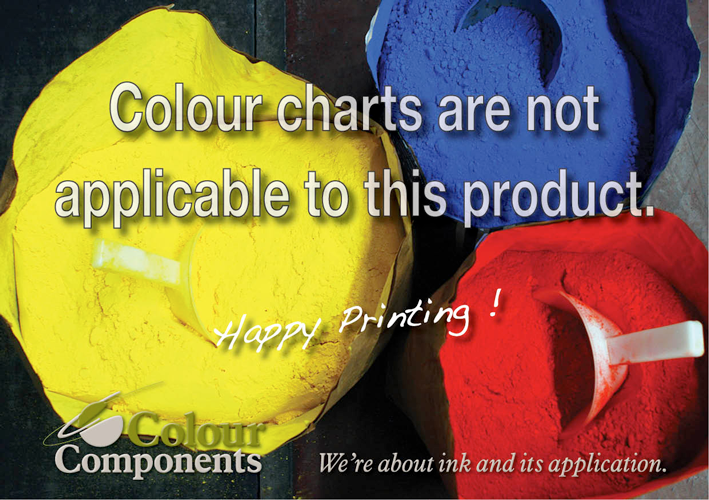 None of that happens with a high quality ink, and that is the major reason why we recommend Printcolor products. Indeed, we have clients who’s total ink-bill dropped dramatically when they made the change to Printcolor… literally by thousands of dollars per year. The reason? With Printcolor, you get increased efficiency and more profitable work done — and you’ll use less to do it. A) Recommend they don’t do it because you know the yellow won’t cover well enough to give the bright yellow print expected — which just makes you look like you haven’t the expertise to do the job. B) Do it anyway and hope the customer doesn’t reject it — which can damage your relationship with your client. C) Waste time putting down a white first — which turns it into a two colour print job, when you can only competitively quote for one. We found years ago that Printcolor ink puts an end to all that. 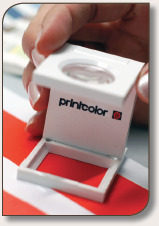 Printcolor inks are pigment rich, giving them amazingly high opacity. That means you get beautifully accurate, solid, pleasing colour, every time. And, because Printcolor use the best quality pigments, their Mixing System only requires 13 colours to mix ANY PMS, HKS or RAL shade – not the 16 plus colours you may need on the shelf with other brands. Your customers will appreciate the quality work you produce, and the price you can do it for – which helps to ‘bullet proof’ your relationships against competitors, ensuring a more stable, secure business. Mix Once. Get it right. Strong, rich colours are only part of the story. The other reason we like Printcolor screen printing inks so much is that mixing accurate PMS colours is a breeze. Printcolor take care to formulate accurate mixing recipes for PMS, HKS and RAL colour reference systems and to keep them up to date. If you do strike a colour not in our database, we can have the recipe formulated in as little as 24 hours – no problem. Best of all the colour mix database is freely available to you right here our website, for all the Printcolor ink systems – check it out Colour Recipe Calculator. Our database will not only give you the colour breakdown in percentages, it will also generate a recipe in grams – so all you have to do is mix it up. No more guessing, adjusting or re-mixing, and it will free your experience tradesmen from the colour mixing bench so they can get on with printing your high-value work. Easy to use. Easy to change over to – seriously. Many screen printers are reluctant to change ink brands, as they think it may be difficult or costly. Maybe it’s better the devil you know… It is actually the opposite. Changing to Printcolor won’t cost you money, and it’s easy. Amazingly so. For starters, you wont have to waste what’s left of your old ink brand. You’ve paid money for that! In most cases you can use up what is left of your old brand with your new Printcolor mixing system – although, once you experience how easy Printcolor is to use, you may just end up putting that old brand in the bin anyway… we did.! Well frankly, that’s the way it OUGHT to be! Australian occupational health and safety regulations for exposure to chemicals and heavy metals are often set at minimum world standards. But, as with everything else Printcolor do, they don’t aim for the minimum on health and safety. Printcolor are deeply committed to workplace safety and the environment. Their inks are BVQI (ISO 9001) certified to be free of heavy metals, chlorinated and brominated organic compounds, organic tin, asbestos and formaldehyd. Under stringent European standards these inks are acceptable for printing toys, and many have Certificate IV clearance for use in pharmaceutical and surgical product applications. In fact, keeping pace with world best practice and legislative requirements is one of Printcolor’s strengths. 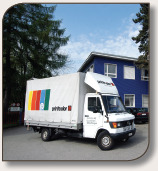 Printcolor was the first manufacturer to produce a low migration UV ink for food and cosmetic packaging compliant with both the Nestle Guidance Note and the recently enacted Swiss Ordinance for UV Packaging Inks which is set to become a template for worldwide standards on acceptable chemical migration levels from printing inks. Safe inks are good for the people in your printroom, they give your clients confidence in the safety of their printed products, and have less impact on our environment. Printcolor can give you this. One of the many things we like about Printcolor… they don’t try and kid you with generic formulations. Printcolor make a excellent range of universal screen printing inks that you will use for most of your day to day printing, but they also make highly specialised inks too. These include low migration UV inks for food packaging, inks to print scratch-off and signature panels, embellishing varnishes, and a highly developed range of security inks for ID and credit card printing – to name a few. Printcolor make the RIGHT ink for the job. And it shows every time you use it. 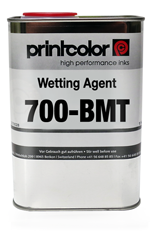 Printcolor 700 BMT is a highly concentrated wetting agent to improve in ink levelling and adhesion problems. Printcolor 700 BMT can be used to improve the wetting characteristics of contaminated or problematic substrates. Ink adhesion can be improved on protection foils, oxidised metals and plastics with minor contamination from release agents and silicone residues. In such cases BMT is added to reduce the interfacial energy of the ink, facilitating bonding despite these substrate problems, positively improving adhesion when properly implemented. Addition ratios should be restricted to only 0.5% to 1% up to a maximum of 2% by weight. It is important that 700 BMT is properly blended into the ink system for proper performance. Refer to the Technical Information and 700 BMT MSDS documents for more details. Printcolor 700 BMT changes the ink tension and wetting properties of the ink, which improves print evenness and in some cases print gloss and adhesion to the substrate. BMT assists the ink to flow or level after transfer and can noticeably reduce print pin-holing and unevenness. As with all additives, use of BMT should be strict controlled as over-dosing ink can result in transfer issues and deterioration of adhesion and print resistances. Wetting agents should be used in small amounts and with caution. Inexperienced users may create adhesion or print quality issues with inappropriate or over use of ink additives. We use wetting agents on occasion to reduce pin-holing in solid prints on glassware where alteration to stoke speed and pad shape is ineffectual or impossible. Printcolor 700 VMT is a highly concentrated silicone additive to improve in ink levelling and gloss. Printcolor 700 VMT is a highly concentrated silicone additive characterised by its levelling improving effect and a certain enhancement of gloss of the cured ink layer. Typical problems like bubbling, pinhole or orange-peel effects in the printed image can be rectified. 700 VMT will often also influence the wetting characteristics of the substrate too, which can be used positively to improve adhesion when properly implemented. Addition ratios should be restricted to only 0.5% up to a maximum of 1% by weight. 700 VMT must properly be blended into the ink system for proper performance. Caution should be used if the ink layer is to be over-printed or lacquered as the addition of VMT may lead to wetting problems for post-printing processes. Refer to the Technical Information and 700-VMT MSDS documents for more details. 700 VMT changes the ink tension and wetting properties of the ink, which improves print evenness and in some cases print gloss and adhesion to the substrate. VMT assists the ink to flow or level after transfer and can noticeably reduce print pin-holing and unevenness. As Printcolor 700 VMT is a silicone based agent, strict control of its use is necessary as over-dosing ink can result in silicone contamination, transfer issues and deterioration of adhesion. 700 VMT can cause cloudiness in some clear ink systems. Flow agents should be used in small amounts and with caution. Inexperienced users may create adhesion or print quality issues with inappropriate or over use of ink additives. We use flow agents on occasion to reduce pin-holing in solid prints on glassware where alteration to stoke speed and pad shape is ineffectual or impossible. 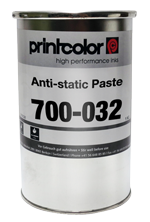 Printcolor 700-032 antistatic paste is an additive for solvent printing inks designed to eliminate the effects of spider webbing or stringing of the print. Printcolor 700-032 anti-static paste has been developed to solve stringing problems in screen printing characterised by splashing/spider webbing at the edges of the printed ink film. The addition of between 5 % and 20% of the 700-032 paste will significantly reduce or completely eliminate the effects of spider webbing caused by unfavorable conditions such as low humidity, high ambient temperatures and the electrostatic charge that develops on some plastics. Printcolor 700-032 anti-static paste is suitable for all Printcolor inks, it has no influence on the adhesion properties of the ink. Refer to the Technical Information and 700-032 MSDS documents for more details. Printcolor 700-032 is surprisingly effective in reducing spider-webbing often seen when using faster drying inks like 382. As with all additives adding more is not necessarily better, 5% is sufficient to address the usual static issues associated with pad printing. You can use 700-032 in every ink mix, but we just add it when the occasional static issue arises. Overdosing ink with additives can effect pot life and running characteristics. Add only the smallest amount required to have an effect, add small amounts at a time. Printcolor 700-032 will not influence ink adhesion. Printcolor 700-RCA ink additive increase the abrasion resistance of pad and screen print inks. Printcolor 700-RCA is an ink additive formulated specifically to improve the abrasion and scratch resistance of pad and screen printing inks on substrates such as PVCs, styrenes, polycaronates, treated polyesters, coating and paints, wood and paper products. Used with the appropriate ink for your substrate, 700-RCA considerably increases surface resistance of the ink film to mechanical wear. 700-RCA is a universal additive compatible with all Printcolor Series 700 pad print inks and solvent based screen print inks added in concentrations of 10 to 25% by weight. 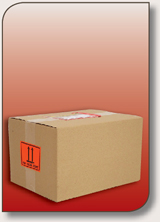 Refer to the Technical Information and 700-RCA MSDS documents for more details. Good scratch and R.C.A. Abrasion Wear Test performance is an important characteristic for pad and screen printing ink systems in a number of applications. This is especially true for electronic parts like key boards, cell phones and others that must meet established standards of performance under test methods such as the ASTM F2357-04 (American Society for Testing and Material) comparative test. Products such as membrane switch keys are subjected to repeated actuations, usually by a human finger, and other contact such as wiping, cleaning, rubbing during handling, end-use, shipment, or storage that may cause abrasion damage to the ink layer. 700-RCA additive will enhance the usual resistances of the ink to vastly extend print performance under demanding applications. 700-RCA has a gritty texture but has no effect on ink handling, consistency or print finish.